We are delighted to support this ground-breaking project, which is a collaboration between the leading scientific art analysis firm Art Analysis & Research and the Museum Ludwig. 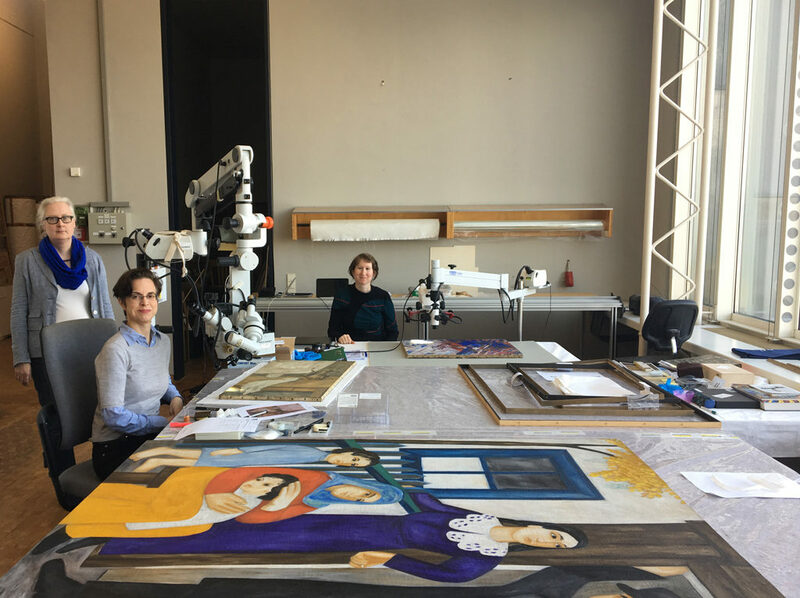 The Museum Ludwig has extraordinary holdings of the Russian avant garde; the museum’s fourteen paintings by Natalia Goncharova and Mikhail Larionov, dating from 1905-1916, will serve as the basis for the study. They will be examined with a spectrum of advanced technologies and proven analytical methods in order to compile a robust technical catalogue raisonné for the paintings of the two artists, thus allowing science and technology to be wielded in the service of art history. This particular combination of advanced imaging, materials analysis, data analytics, and technical art history is the protocol used by Art Analysis & Research, who have applied it with success in the service of clients as diverse as museums, various sectors of the art market and artists’ foundations. “Goncharova and Larionov are hugely important figures in the Russian avant-garde movement. By setting new standards for interdisciplinary research – establishing a dialogue on how archival material, art historical research and art technology can be used as integrated tools – we hope to set an example of research standards, what is possible to achieve with them and thereby, to stimulate an international dialogue in the community of museums, scholars and collectors involved with this school of painting. To have the cooperation of Art Analysis & Research and the Museum Ludwig will bring a great range of expertise to this endeavour”.